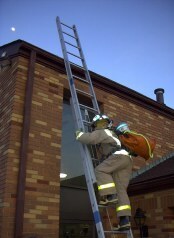 Photos from the April 4th Ladders Class. 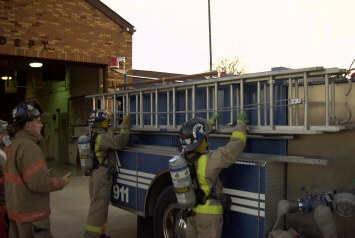 Advisor Hendrick instructs Cadets Watterson and Cook on how to remove a ladder from Engine Six. Cadets Watterson and Cook use a low shoulder carry to transport the 24 foot extension ladder. 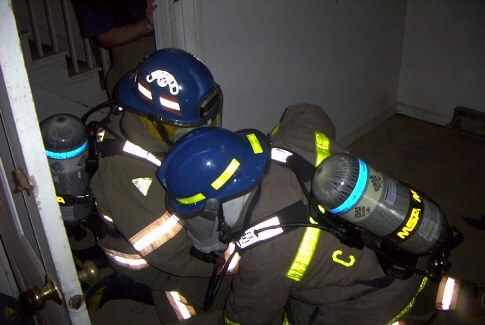 Cadets Watterson and Cook use a beam raise to elevate the ladder. 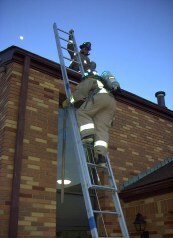 Cadet Cook climbs the ladder carrying a rope bag and an axe. 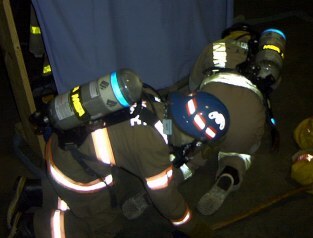 Rope is one method used to raise and lower tools and equipment by roof crews. 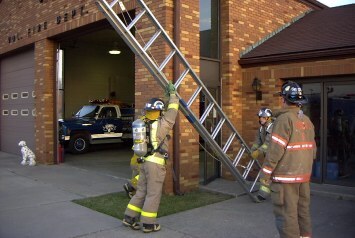 Cadet Watterson climbs the ladder, taking a pikepole with him. 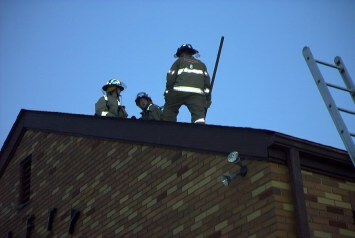 Advisor Hendrick instructs Cadets Cook and Watterson on roof operations . 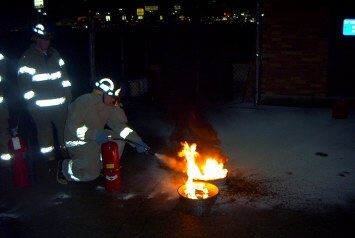 Cadet Engineer Watterson using an ABC extinguisher. Asst. 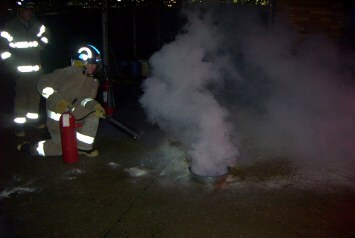 Cadet Chief Lee practices her skills. 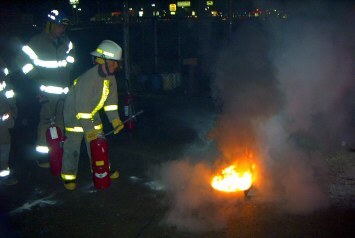 New Cadet Wolfschlag tries his hand at using an extinguisher. Cadet Chief Macon steps up to give it a try. 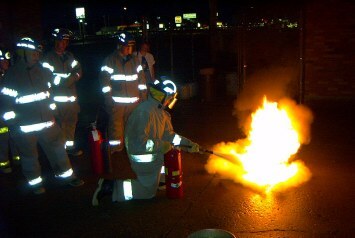 Cadet Engineer Watterson using a CO2 extinguisher. 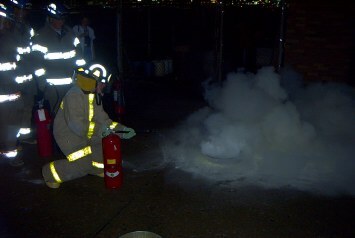 With apologizes to Cadet Pritchard as someone was in the photographer's way when his turn arrived! 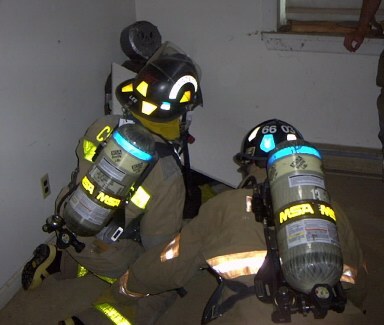 Advisor Fondaw instructs Cadet Wolfschlag and Firefighter Flint on search procedures. 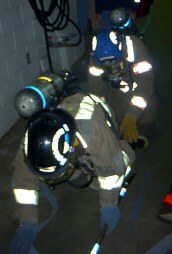 Cadet Wolfschlag and Firefighter Flint follow a hoseline. Cadet Wolfschlag finds an obstruction. The search team works their way around the obstruction. 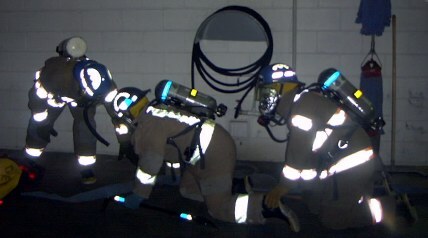 ...and the final section of hose. 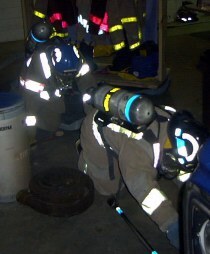 Cadets and members of Clifty Six gear up and get ready to start search training. 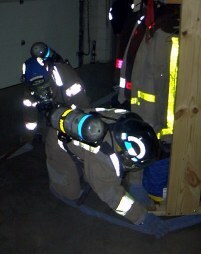 Cadet Knox, one of our newest Cadets, puts his mask on and prepares to go in. 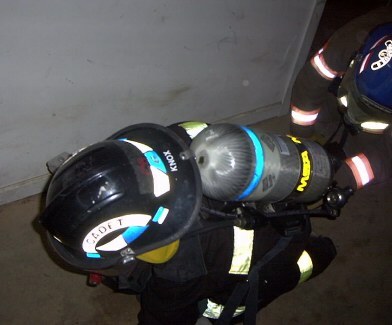 The lens of the mask is covered with wax paper to simulate smoke conditions. Cadet Knox practices search techniques. 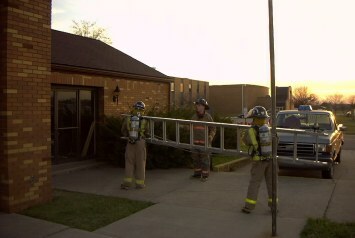 Firefighter Stettenbenz and Probationary Firefighter Russell drag a "victim" out of the building. The victim is a hose dummy loaned to us by Walnut St. Truck Co. #4. Asst. 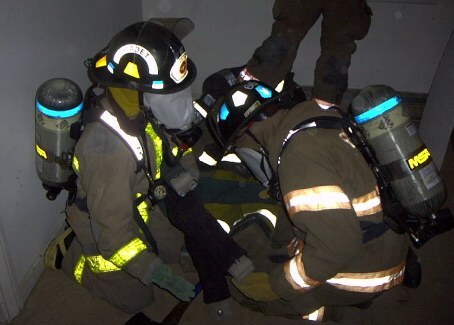 Cadet Chief Lee leads a search team. Lee's search team finds a victim. 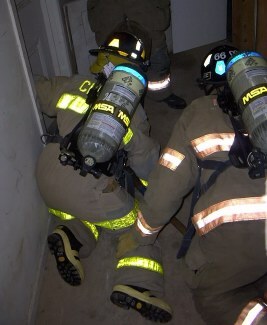 They find a second victim and begin to drag both out of the building.